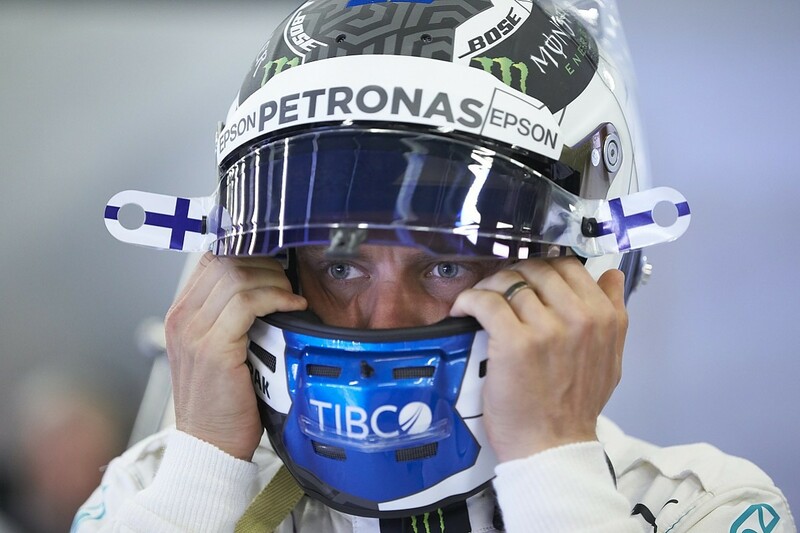 A learned colleague remarked to me after the British Grand Prix that Valtteri Bottas could be leading this season's Formula 1 world championship with better luck. Of all the drivers in F1's big three teams, Bottas is undoubtedly the one who has walked under too many ladders in 2018. He is grand prix racing's equivalent of a crazy black cat lady - muttering to himself indignantly as he feeds the feline companions bestowing all that negative karmic energy on his campaign. The good news for Bottas is that Mercedes sees well beyond his results - sees that (Melbourne qualifying blunder aside) he has become a much more competitive proposition with a proper winter of preparation behind him. Bottas has ironed out many of the wrinkles that irritated him too often in 2017, is now literally more comfortable (thanks to a revised seating position) in his Mercedes, and looks likely to earn a deserved second contract extension with F1's reigning world champion team. But exactly how much better off would Bottas and Mercedes be had the first 10 races of his championship not been derailed by ill-timed safety cars, unusual reliability problems, and unfortunate contact incidents? Well, that requires some re-imagining of every single one of the 10 grands prix held so far, as all of them have featured the appearance of a safety car (virtual or otherwise). This is the random element that has spiced up almost every race this season and most often been the symptom or cause of Bottas's bad luck. Had the Haas pit crew shown more composure in Melbourne, not only would its cars likely have finished the race fifth and sixth (assuming Daniel Ricciardo's Red Bull would have eventually jumped both in the pits), Lewis Hamilton would have beaten Sebastian Vettel to victory and Bottas would have dropped two places to 10th. In this scenario, Hamilton gains seven points at Vettel's expense, while Max Verstappen loses four (for finishing eighth instead of sixth), and Bottas drops three (for finishing 10th instead of eighth). The early safety car in Bahrain made very little, if any difference, to the outcome. Considering Ricciardo's Red Bull was the cause, we probably have to credit him back into the race to keep things consistent. Verstappen gets no such credit on account of being the architect of his own downfall in a collision with Hamilton. That would likely have meant a fourth placed finish and 12 extra points for Ricciardo. Bottas had his chance to challenge Vettel for victory. That Mercedes was too slow to unlock Ferrari's strategy and Bottas too tentative in battle cannot be ascribed to luck, so the rest of the top order remains unchanged. The safety car undoubtedly undid Bottas in China, setting off a chaotic chain of events that led Ricciardo to an unlikely victory and Verstappen to a disappointing implosion. Given Bottas had earlier overtaken Vettel in the pits, it's very likely he would have won that race without Pierre Gasly and Brendon Hartley tripping over each other at the hairpin. Freezing the order before that moment, Bottas wins from Vettel, with Verstappen third, Hamilton fourth, Ricciardo fifth and Raikkonen sixth. That boosts Bottas by seven points, but it also gains Vettel double that amount, thanks to not getting subsequently wiped out by Verstappen at the hairpin. Verstappen gains five by enjoying a quieter finish, while Ricciardo would drop 15 points and Raikkonen seven. The second Baku safety car was caused by Red Bull's self-contained Armageddon. If we remove that from the equation, Gasly and Kevin Magnussen do not collide during the restart, Bottas does not get his 'free' pitstop beforehand, but nor does he suffer a cruel puncture by running over debris subsequently. In normal circumstances, Vettel would win this race from Bottas, with Hamilton likely third and the Red Bulls fourth and fifth, ahead of Raikkonen. That's an 18-point swing in Bottas's favour, but Vettel also gains 13, while Hamilton and Raikkonen each lose 10 points and the Red Bulls (with Verstappen ahead of Ricciardo as they were before their crash) gaining 12 and 10 points respectively. Vettel made a second pitstop under the Spanish GP VSC, but given Ferrari's struggles with Pirelli's narrow gauge tyres, he said he would have had to do this regardless and felt it did not affect the result. Vettel would still probably have emerged ahead of Ricciardo's Red Bull, so this race remains unchanged for the purposes of this analysis. The safety car periods required late on in Monaco and early on in Canada made no discernible difference to the outcome of those races at the sharp end of the grid, but in France we must consider how things would have been had Vettel not locked up into Turn 1 and clattered Bottas at the start. In this instance, Bottas probably finishes second to Hamilton, with Vettel third and Raikkonen splitting the Red Bulls, which gains Bottas 12 points, Vettel five, and costs Verstappen six points, Raikkonen five points and Ricciardo four points. In Austria, the hydraulic problem that put Bottas out of the race caused the virtual safety car period that undid Mercedes strategically and ruined Hamilton's race before a faulty fuel pump ended it for good. Undoing the bad luck of uncharacteristic Mercedes unreliability for Bottas must apply to Hamilton as well, to be fair. In this case, they could potentially have finished the race one-two, ahead of Verstappen and the two Ferraris. But given the W09 badly blistered its rear tyres at the Red Bull Ring in Hamilton's hands - partly because of his need to recover ground lost to the strategy admittedly - and Bottas has tended to struggle more than Hamilton with tyre management, we have to assume they would probably both have required an extra pitstop and therefore finished this race fourth and fifth without their cars breaking down. That gains Hamilton 12 points and Bottas 10 at the expense of the midfield runners. This assumes Ricciardo is still struck down by the exhaust problem that curtailed an otherwise difficult race for the Australian. Remember, this is about Bottas's bad luck, not Ricciardo's. 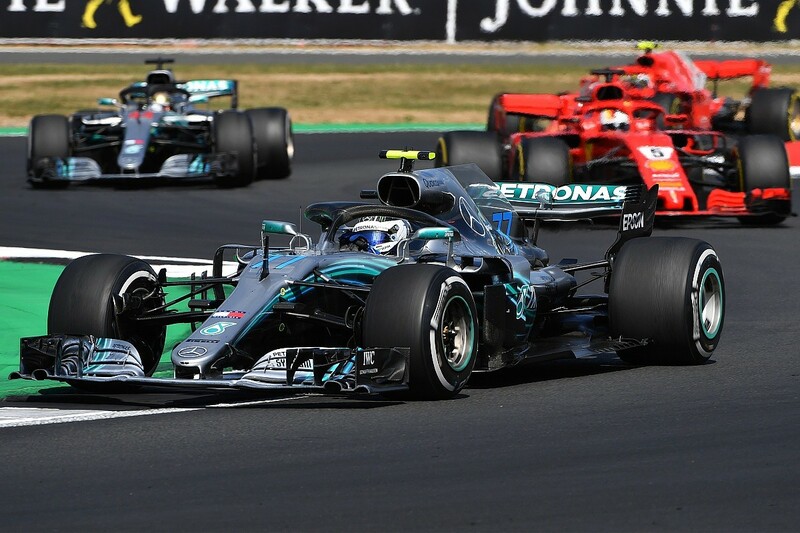 The recent British GP featured two safety cars in quick succession, and although Mercedes' strategy handed Bottas track position in his battle with Vettel, he was ultimately undone as his heavily worn medium tyres gave up the ghost. We'll never know if Vettel would have run into more tyre trouble himself without Marcus Ericsson shunting heavily at Abbey, then Romain Grosjean and Carlos Sainz Jr colliding at Copse, or whether Bottas could have capitalised. 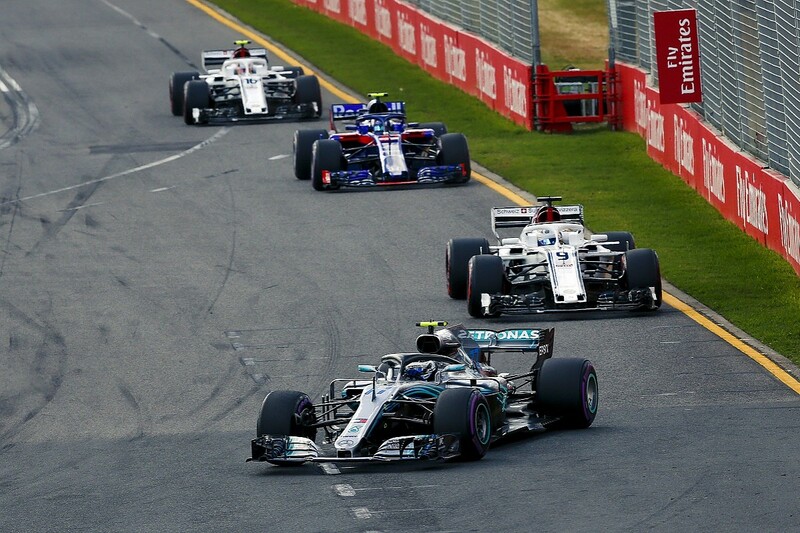 But those safety car interventions certainly turned a nailed-on second place into fourth for Bottas, so we must assume Vettel wins this race regardless in normal circumstances, with Bottas second, Raikkonen third, Hamilton fourth and Ricciardo's knife-in-a-gunfight Red Bull-Renault fifth. This simply redistributes the extra points Hamilton gained to Bottas, as they switch positions compared to the actual classification. The other frontrunners are unchanged. But the key question is how all this bad luck has actually affected the championship battle. What's clear from this is that Bottas has absolutely suffered more misfortune than the rest of the championship frontrunners, but a clean season so far would only lift him into outside title contention. Even super-generously awarding a one-two to Mercedes in Austria still leaves Vettel with a 12-point lead over Hamilton and Bottas with a 29-point deficit to Vettel. The unseen flipside to Bottas's bad luck is that Vettel has also been negatively affected by random events outside his control. If Bottas had scored all the points his performances merited this season, Vettel would be even further ahead of Hamilton in the title race. 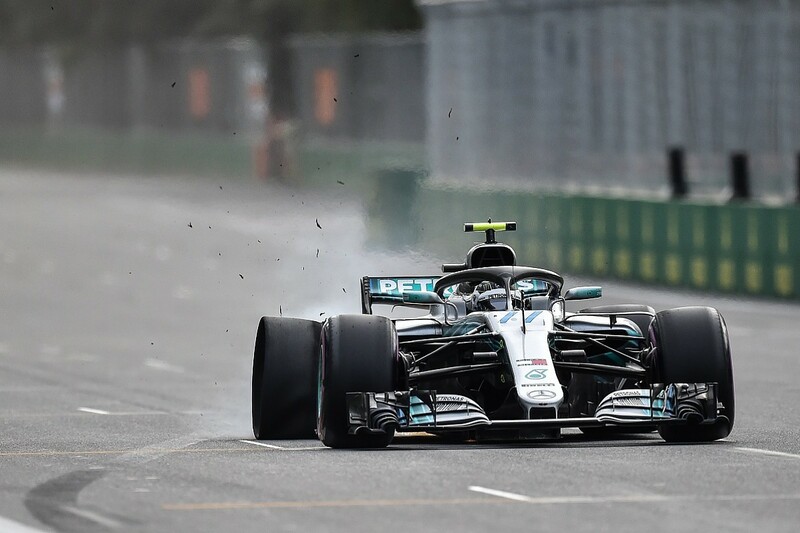 The unintended consequence of Bottas's bad luck is that Hamilton's title defence is in better shape than it otherwise might have been, but it's also true that, as well as he has driven so far, even with a perfect run of luck in 2018, Bottas would not be winning this championship.